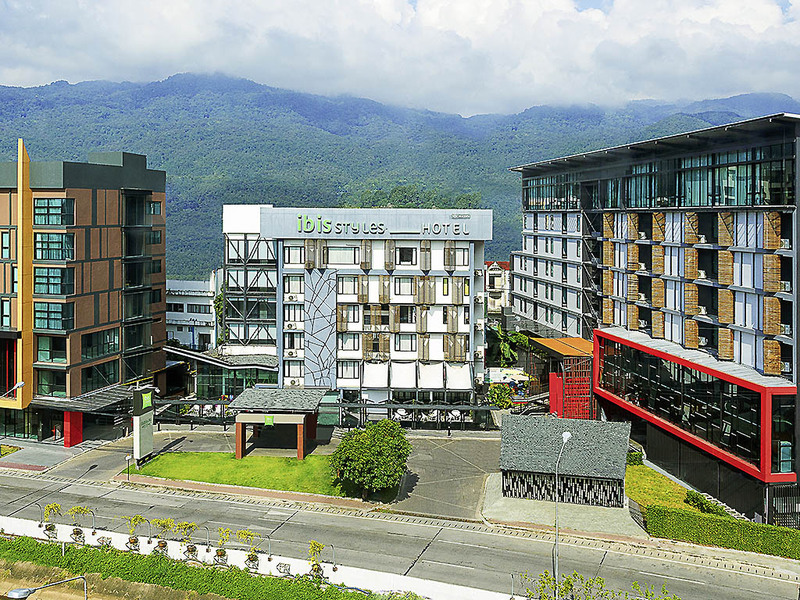 ibis Styles Chiang Mai provides value accommodation just 20 minutes from Chiang Mai International Airport and Chiang Mai Railway station. 10 minutes walk to MAYA Lifestyle Shopping Mall and Nimmanhaemin Road. The hotel features a total of 208 rooms, it offers free WiFi in rooms and around the hotel. Pixel International restaurant features a simple touch of International and Thai cuisines in a colourful and modern surrounding. Unwind and relax to a selection of chill-out music with drinks and blended cocktails. Happy hour lasts from 6 to 8PM. Obrigado pela excelente acolhida. O quarto estava muito limpo e confortável. O hotel está bem localizado. O café da manhã poderia ser melhor, mas, nada que desabone a hospedagem. Se vier para Chiang Mai, fique no Ibis Styles!